How did you meet your "match"? 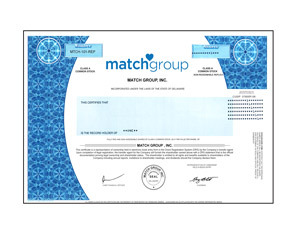 With its IPO in Nov 2015, Match Group chose to not issue paper stock certificates and registers ownership electronically instead. The recipient still becomes a real shareholder of Match Group with all associated rights.